It was during Roadburn this year when they announced their first full length album in almost two decades. It was quite something to see the news rippling through the crowd, overhearing people talking about ordering limited edition versions and speculating whether Sleep would be our secret guests for a surprise show. Whilst we wouldn’t have said no, just imagine the riots if we’d have crammed Sleep into Cul de Sac! Instead, we have chosen to honour the incredible history of this band with two special shows (on the main stage, where they belong! 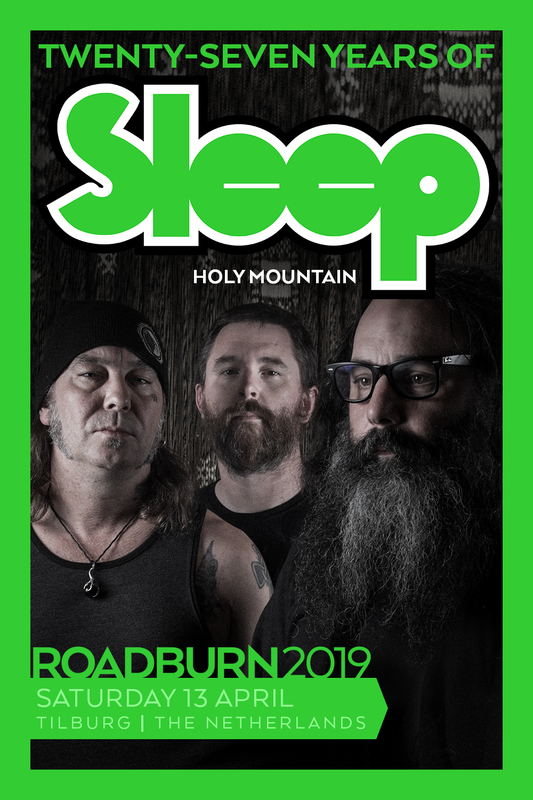 ), under the banner of Twenty Seven Years of Sleep – the jewel in the crown of Roadburn 2019. One show will take in the legendary Holy Mountain album and the other will focus on their latest release, The Sciences. There will be enough time for some bonus tracks and surprises of their own adding to the once-in-a-lifetime feel of this pair of sets. We’re told that good things come to those who wait, and we truly have been waiting a long time for this incarnation of Sleep. Their artistry was never in question, but it’s safe to say that it took a fair while for the world to catch up with the true might of Sleep. For those who have only discovered the band in the last few years (to be fair, many Roadburners were not even born when Holy Mountain was released), they may seem like a mainstay, a solid band with truckloads of killer riffs. But they are so much more than that. 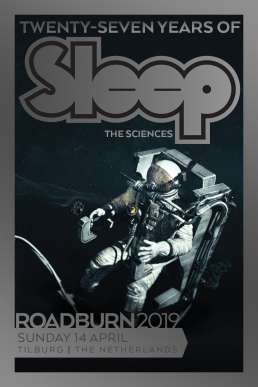 For almost 30 years, Sleep have been penning anthems for stoners, dropouts and appreciators of thee riff. These songs, these albums (sometimes one and the same) are woven into the fabric of our very being, the soundtrack to late night heart-to-hearts, the rhythm of parties and shows that unite us with like-minded riff-hounds. Low-down, filthy riffs, rumbling bass and a legion of more-than-devoted fans: the magic recipe for Sleep. But the road to The Sciences wasn’t necessarily a smooth one and whilst they can now comfortably sell out the biggest venues in town, it wasn’t always this way. Way back when, the band broke up as a result of their creative vision not being realised when they attempted to unleash Dopesmoker on an unsuspecting world. Little did they know, these tales would not only become the stuff of legend, but they would pave the way for other heavy bands who wanted to challenge the concept of how music should be presented. It’s something of an understatement to say that Sleep have been an influential band in the world of heavy music – and for us at Roadburn too. When they first reformed after more than a decade of inactivity, they played two iconic Dopesmoker sets at All Tomorrow’s Parties – and we knew we had to have them at Roadburn too. It would be another couple of years before we’d snag them, but their 2012 set headlining at Roadburn is seared into the memories of all those who witnessed it; forever a part of Roadburn history. Whilst our relationship with the individuals in Sleep pre-dates that show (Om, High on Fire and Neurosis being no strangers to the Roadburn stages), the performance six years ago cemented the bond between band and festival; our histories forever entwined. It feels appropriate to celebrate together – another chapter in this incredible band’s tale.